In today’s recessionary times we are all much more focused on just how we are spending our hard earned and continuously shrinking take home income. Foodwaste is a further unnecessary drain on that budget and when addressed can save you €700 a year and more, that’s enough for a holiday for the family. So saving on food costs while not compromising on the family’s nutritional intake is probably the biggest challenge facing you. You are not alone! Every council in the country along with Stop Food Waste is working with families to help them reduce food waste at home and put more money back in their pockets. Moving away from store bought mass produced and of little nutrition processed food, to home produced food’s can be the biggest saving for a family’s budget. How better to learn how to do just that than from the ‘Folláin family’ in Cuil Aodha, Co.Cork. Having been made redundant they decided to follow their passion and dream of growing, cooking and preserving their own fruit and vegetables and they are very happy to share their simple recipes with you CLICK HERE! 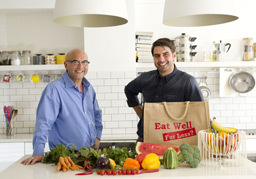 Masterchef’s Gregg Wallace,and award-winning greengrocer Chris Bavin are on a mission to prove that if you shop cleverly you could save a packet, and still create incredible meals. Please get in touch eatwell@rdftelevision.com if you want to find out more. Eat Well for Less is produced for the BBC by RDF Television. (Unfortunately not possible to view full programme outside the UK but 2 min snippets on web site can be and Gregg gives lots of info on the BBC website). You need to segregate your food waste. Where your food waste goes. Voice works with you through their web site on how to decide on when food has gone past its use by date, and gives you real pointers on how you can reduce your waste production in the home. If you want to get your community involved in rescuing food waste to feed those that need it well see this link. The Irish National Consumer Agency apart from protecting consumers rights also offers many ways to save. www.consumerconnect.ie includes links like www.cheapeats.ie a really cool site on menus for quick home cooked meals from Irish people who have learnt to live well within their means. 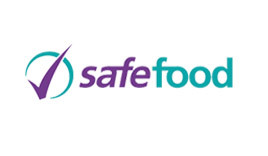 Safefood.eu in conjunction with the EPA (Environmental Protection Agency) you will have heard their adverts on RTE radio 1 offering ways to reduce the production of food waste in the home, handling it safely and their web site also offers practical ideas on providing nutrition to children at school with proper lunches. Note! July 1st 2015 will see the introduction nationally of Pay by Weight for all Refuse Collectors e.g. they must be compliant in providing weight measurements to households for all domestic waste coolected. Domestic household’s will not be billed by Pay by Weight until July 1st 2016. 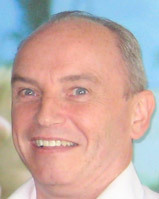 SIANS PLAN is a qualified home economist with over 25 years experience. She’s great at thinking of ways to make life easier for home cooks. A busy mother of 3 boys, meal plan in colour came to her as a very welcome inspiration. Sians company has already won two major awards for innovation and she was delighted to link up with Brown Bin Rescue to help families in Ireland with her plans,at the Resource Ireland waste food event October 17th & 18th in 2012. Watch this quick video and see for yourself. You want to cook but can’t get the time to plan, having a easy plan for the weeks simple meals would be so much easier. Well your wish is granted with ‘Moms Who Think‘ who give you easy Dinner Recipes and Menus. They’ve put together eight weeks worth of quick and easy dinner recipes, full weeks of recipes and the meal plans that go with each day. So get cracking. Apart from the beautiful array of flowers and exotic plants on display to the public, the Botanic gardens also has a whole section dedicated to ‘Home Composting’ so call in, and there is always someone on hand to answer any questions you may have, and the kids love seeing it all in front of their eyes. Eating out with the Kids! If you are going to eat out with the younger members of the family and want to avoid the usual ‘Kids menu’ you know the ‘Chicken Nuggets and Chips’ menu, then check out www.wheretoeat.ie and click on the ‘Kids Size Me’ tab for participating restaurants. Obesity is far too prevalent in the young children of today, and apart from the recommended minimum 20 minutes of exercise a day, correct portion size and quality of food is essential in addressing this growing health risk issue. So when booking your restaurant ask if they have signed up to the ‘Kids Size Me’ program and if not ask why not. If they do have a children’s menu and you are not happy with its content, then ask if they will do a child’s portion of an adult meal at a child menu price, and if they refuse then book elsewhere. Please ask any restaurant that provides you with this service, and is not on the www.wheretoeat.ie website to please register with them, then display the ‘Kids Size Me’ logo and probably get more family custom so more Kids will benefit. There are even more people actively working and giving of their time for free to try to have as much of our food waste recovered and recycled. Zero Waste Alliance Ireland (ZWAI) is a registered environmental charity, nationally based, and is a member of the Irish Environmental Network (IEN) and the Environmental Pillar of Social Partnership. ZWAI is a policy oriented organization, established in 2004, to focus on Zero Waste principles (whole lifecycle approach) where waste is seen as a resource. ZWAI promotes a rethink of current discard, disposal practices and works towards a circular economy. We are engaged at national and EU level in policy initiatives and information campaigns. Unilever along with the UK’s ‘Love Food Hate Waste’ newsletter have 3 short two minute video’s that we recommend you watch, whether you are a student in a flat, or living in an apartment, or or a family household then this link will help you realise how to save on food waste and spending on food. We are all capable of writing our own its just that for most of us we never get around to it. Shopping on an empty stomach costs you, as everything looks so much more appealing, and smells so much better especially hot bread. Equally don’t go shopping just after watching an episode of ‘Jamie Oliver’ either, as God only knows how your creative and closet food guru part of your personality could influence your purchases. Most if not all of the councils in Ireland are working with Stop Food Waste to really help families to reduce their food waste production. Families like in Co Mayo Stop Food Waste Challenge for instance have been invited to work with the council Environment section to bring their food waste to a centre regularly where it is opened out and all waste is questioned as to how it became waste. Watch this Video on how the families got on. Over purchasing, over cooking, bad storage all these patterns add up to unnecessary amounts of food being wasted, not to mention your time wasted buying, cooking and the waste of water and environmental resources too. Not Guilty! Its not all our fault in fact there are deliberate methods used by retailers to catch us at our weak moments, and lull us into making those additional purchases. 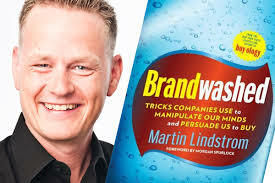 Here world branding expert Danish born Martin Lindstrom advises caution on such Supermarket tactics. So Shop when you have eaten, have made a list , just buy what you need and remember the shop will still be there again tomorrow. Irelands E.P.A. (Environmental Protection Agency) www.stopfoodwaste.ie site is full of information on ways to save when shopping, storing food and with good video’s on these topics. Recipes from Irelands celebrity chef Donal Skehan there too so always good to check it out. Our neighbours in the U.K. also have a really great site. On Love Food Hate Waste’s Home Page for inspiration on how to cook those vegetables or meat that you have just scroll down to their ‘Any Recepie – Any Food Type – Any Ingredients’ input boxes type in what you have left to cook with and get great ideas there and then. Their Northern Ireland based web site also has great and really useful tips for you to plan your meals, save time and save money too. Could you change your shopping, cooking and storage habbits? Well why not take the Stop Food Waste challenge! 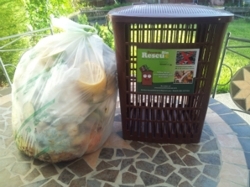 Brown Bin Rescue’s system to get your food waste from your kitchen to your Brown Bin easily and save you money on refuse charges, also aims to help you to reduce what goes into your Brown Bin in the first place. Hopefully you will think differently the next time you shop, and implement some of the ideas offered. 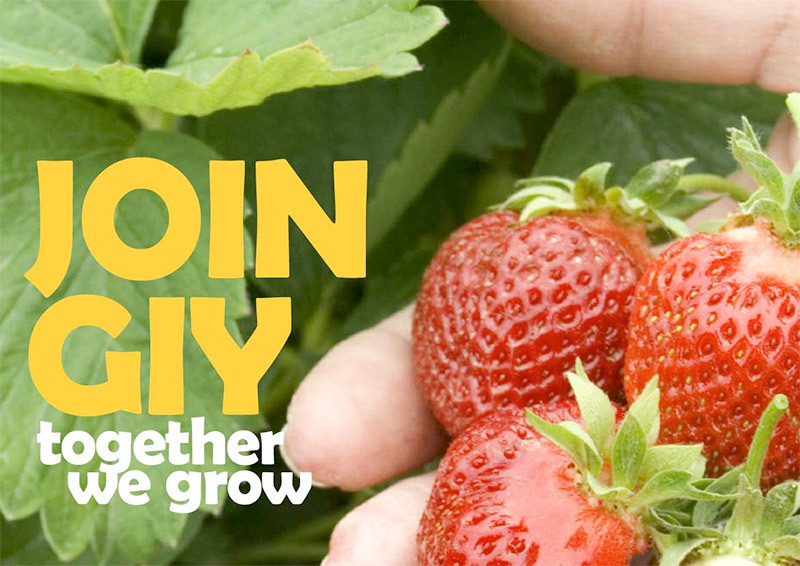 Growing your own home grown food is a huge forgive the pun, growth market in Ireland so check out GIY Ireland and see the fantastic work its founder Michael Kelly has done. Click on the ‘Resources tab’ and in the drop down menu see the YouTube video’s on all aspects of growing and also there is a very handy ‘Grower’s calendar’ to assist you. Check out the ‘About GIY’ video on the home page and see Klaus Laitenberger entry too. While you have thinking on the subject of your own household food waste no doubt the idea of the amount of commercial food waste has crossed your mind. Well it also crossed the minds of two young Trinity graduates Iseult Ward and Aoibheann O’Brien who set up Food Cloud a non profit organisation which successfully diverts food waste, both cooked and just out of date to local charities to have the food used to feed the most vulnerable in our society. 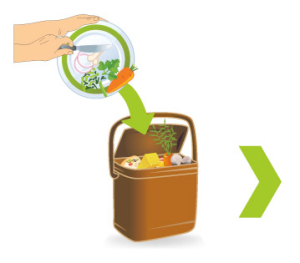 Now that you see the savings by segregating your food waste, why not VISIT OUR SHOP NOW and let us help with providing all the Irish + 1 Italian products you need to capture food waste successfully in your kitchen, and with NO MESS. 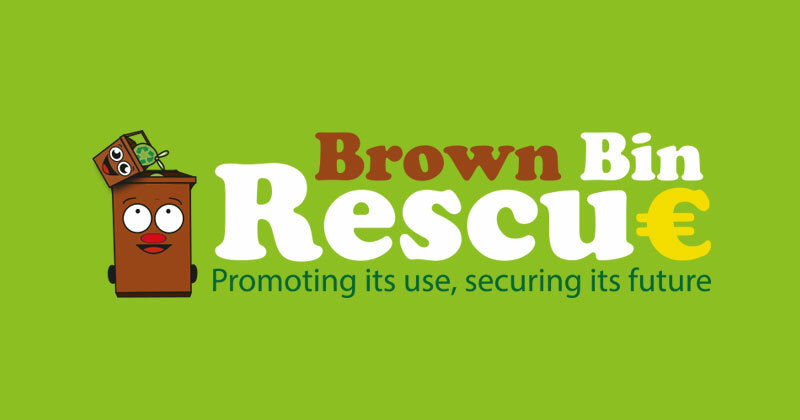 Hi, if you know of any other web site or blog that would further help households to reduce food waste, save time and money then please send this info to info@brownbinrescue.ie for inclusion in our next update of this page. Thank you – Denis Lawlor, Brown Bin Rescue.